As a full time real estate professional & award winning multi-million dollar producer since 1992, Linda Fillippo has consistently ranked among the top agents in Northwest Indiana. Linda believes her success has been achieved by her commitment to client satisfaction and to putting her clients’ needs first. Recognized for her integrity, knowledge of the market, professionalism, and friendly manner, most of her business comes from referrals and past clients. She is a Relocation Specialist, and has earned the Graduate Realtor Institute Designation and the Accredited Buyer Representative Designation. These achievements represent a higher level of service for her clients. 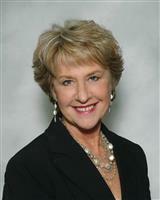 Linda enjoys working with buyers and sellers in all price ranges and is skilled at selling homes, purchase homes, new construction, or finding a good investment property.